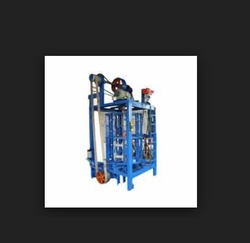 We are a prominent firm engaged in manufacturing and supplying Vertical Armouring Machine. These are fabricated under the strict supervision of our quality analysers following the set industry guidelines. Our sourcing agents ensure that the raw material for the product is procured from certified vendors only. Further, we provide customization for the product as per the specifications detailed by our clients for their maximum satisfaction. Some of the acclaimed features of the product are reliable performance, resistance to corrosion and sturdy construction. With the support of our intelligent and diligent team of professionals, we provide a wide array of¿¿36 Bobbin Armour Cable Machine¿¿to our clients. It is used to provide mechanical protection to PVC/ XLPE Sheathed Cables. These machines are applied for both Cable, Round Wires And Flat Strips which are spirally wound over the inner sheath of the cables. These armouring machines are manufactured in compliance with the industry standards and norms. Moreover, our professionals make sure to manufacture these products as per the specifications and details provided by the clients. Additionally, we offer customizing facilities to meet the specific needs of our clients. Looking for Vertical Armouring Machine ?